The stock was trading lower for the 12th straight day, down 1% at Rs 2,517, its lowest level since March 1, 2016 on the BSE. 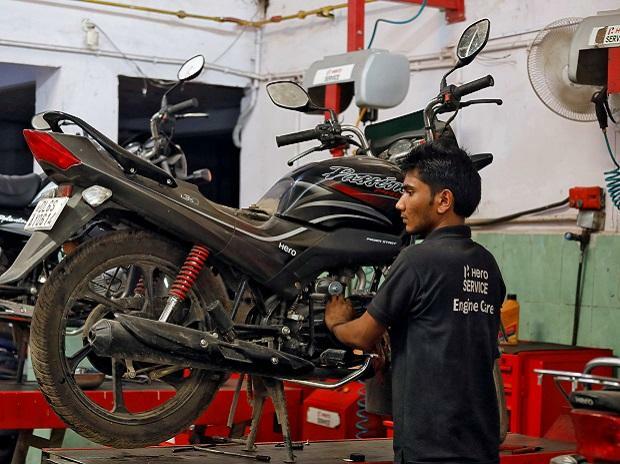 Shares of Hero MotoCorp (HMCL) hit a two-year low of Rs 2,517, down 1 per cent on the BSE in otherwise strong market, on concerns of slowing demand growth. The stock hit its lowest level since March 1, 2016. The stock has been losing ground for 12 consecutive days and has lost 11 per cent during this period, as compared to 4 per cent rise in S&P BSE Sensex. In the past three months, it has slipped 20 per cent against 7 per cent gain in the benchmark index. HMCL has faced major headwinds in the last nine months including aggressive price cuts by its nearest competitor Bajaj Auto and five year insurance norm for two wheelers. During Q3FY19, HMCL’s Ebitda (earnings before interest, tax, depreciation and amortization) margins was contracted by 179bps YoY to 14 per cent on account of gross margin compression of 143bps due to lower operating leverage/ high launch spends. There have been temporary setbacks in the third quarter of the current fiscal on account of multiple factors, leading to higher than normal inventory levels at dealerships, HMCL said while announcing Q3FY19 results on January 31, 2019. “Overall inventory level across 2W industry is around two - four week higher than the normal level, which further increased pricing pressure within the industry. Led by Bajaj Auto’s aggressive pricing strategy on entry-level motorcycles, HMCL’s around 1/3rd of product portfolio got impacted, as it has a stronger presence in entry-level bike segment”, analysts at Reliance Securities said in result update. Analysts at JP Morgan believe the sustained industry shift toward scooters and premium motorbikes is an overhang, given the company’s lack of a significant presence in these segments. "We expect cost push and competitive pressures to remain high over FY19. We assume margin moderation over the next two years. Admittedly, valuations look cheap. Recent regulatory-led insurance cost increase is meaningful for the entry segment (8- 10 per cent) and the impact on volume growth needs to be monitored," the brokerage firm said in report dated February 1, 2019.